We offer our clients a wide range of Adhesive Tapes. 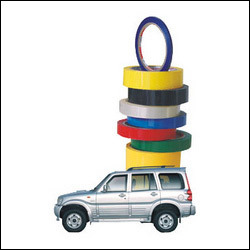 These tapes find application in automobile and chemical industries. The tapes manufactured by us are used in various purposes of packaging and sealing of industrial products. Available in different parameters of width, length, film thickness, color of tape, number of print colors and designs, the adhesive tapes are competitively priced.